So, for all of you techie real estate folks out there who are looking to step it up a notch…. 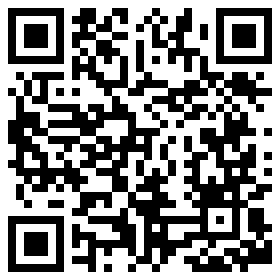 Hopefully you will love this post on integrating Quick Response (QR) Codes with your real estate marketing! Literally? It is a black and white fuzzy box you may see in ads, on promotional gifts, even billboards. Conceptually? It is a scannable quick response barcode which when scanned with a smart phone (equipped with a camera), will connect you to a web address dictated by the creator. Look at the image to the left. If you are interested in the super technical aspects of QR Codes, check out this article. So, what does this have to do with real estate? A lot actually. QR Codes are still relatively new to most people and businesses, but the potential is endless. Don’t be afraid to raise the bar and get ahead of the curve! This fuzzy black and white barcode image, when scanned, has the ability to connect the user to ANY web address, email address, map location, text message or SMS message that the creator chooses. That means it can connect to pages on your personal real estate website, your Facebook business page, a listing page, your blog, etc. put on your business card or in a print ad and have it connect to your ‘About Me’ video on your website. When have you ever been able to showcase real value in a print ad or on a business card? Use the bar code to connect and engage with consumers. put on your listing flyers. Unless you have figured out a better way to connect your virtual tour to the yard sign in front of your listing, this is a great idea. I downloaded and tested all of these free iPhone apps and personally like NeoReader the best. It scans and doesn’t require you ‘take a picture’ like the QRReader does. The QRScanner does have a smooth scanning feature and quickly redirects you to the indicated URL address. However, it doesn’t have the ability to alter your settings, enter codes manually and saves the history of barcodes you have scanned like NeoReader does. AT&T has just launched its code scanner application and service for the BlackBerry and Android that you may want to check out as well. Scanlife is a free BlackBerry app. Now, I am an iPhone girl so I have no experience or opinions for the BlackBerry or Droid apps. How do I create a code and use this for my real estate business? Scarily enough, scanning and creating codes is ridiculously easy! 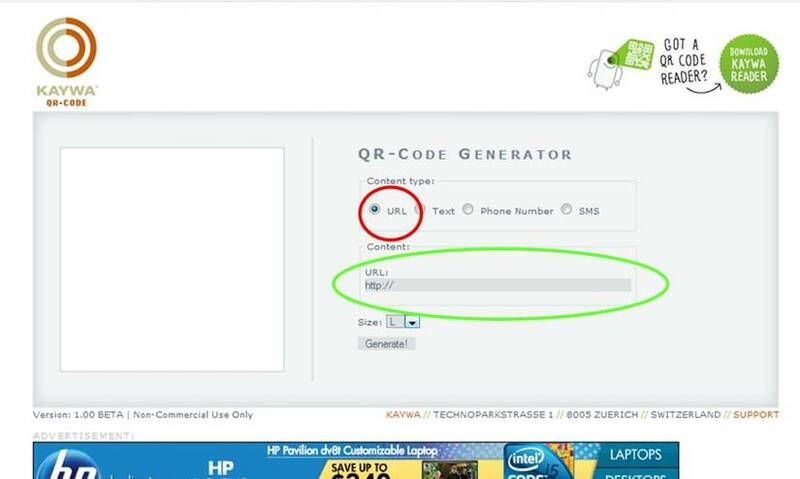 You can go to the Kayway QR Code website. Below that, you will notice a box for you to enter in the web address you would like the image to connect to. Be careful here. Where do you want the bar code to link? A specific page on your website? A specific listing? A map? Next step? Select the size of the code image you want generated. Small? Large? Click on the ‘Generate’ button! The QR Code image will be generated automatically. There are two ways to save and use this information. Save the HTML code for building the image into your blog or website. Right click on the QR Code image and save it to your computer. You can now use that image on flyers, create a sticker for a yard sign, print them on your business cards, etc. IMPORTANT! Remember to save each listing code image with the address as the name of the file so you can keep them in order. The QR Code images look very similar and it’s hard to tell them apart. Also IMPORTANT. Technology is not perfect. Make sure to test the images/codes before using them in your marketing. You want to make sure they work and are connecting consumers to the right place! So, let’s walk through scanning the codes. Have another idea on how to use these codes to build your business? Share them below! « do you want to triout foursquare for real estate?